Professor Leonard Kleinrock is Distinguished Professor of Computer Science at UCLA. He developed the mathematical theory of packet networks, the technology underpinning the Internet, while a graduate student at MIT in the period from 1960-1962. The birth of the Internet occurred in his UCLA laboratory (3420 Boelter Hall) when his Host computer became the first node of the Internet in September 1969 and it was from there that he directed the transmission of the first message to pass over the Internet on October 29, 1969. Dr. Kleinrock received his Ph.D. from MIT in 1963. He has served as a Professor of Computer Science at the University of California, Los Angeles since then, serving as Chairman of the department from 1991-1995. He received his BEE degree from CCNY in 1957. and his MS degree from MIT in 1959. He is also the recipient of a number of Honorary Doctorates. He was the first President and Co-founder of Linkabit Corporation, the co-founder of Nomadix, Inc., and Founder and Chairman of TTI/Vanguard, an advanced technology forum organization. He has published over 250 papers and authored six books on a wide array of subjects, including packet switching networks, packet radio networks, local area networks, broadband networks, gigabit networks, nomadic computing, intelligent software agents, performance evaluation, and peer-to-peer networks. 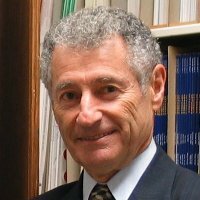 During his tenure at UCLA, Dr. Kleinrock has supervised the research for 48 Ph.D. students and numerous M.S. students. These former students now form a core group of the world’s most advanced networking experts. Dr. Kleinrock is a member of the National Academy of Engineering, a member of the American Academy of Arts and Sciences, an IEEE fellow, an ACM fellow, an INFORMS fellow, an IEC fellow a Guggenheim fellow, and a founding member of the Computer Science and Telecommunications Board of the National Research Council. He is recipient of the 2007 National Medal of Science, the L.M. Ericsson Prize, the NAE Charles Stark Draper Prize, the Marconi International Fellowship Award, the Dan David Prize, the Okawa Prize, the IEEE Internet Millennium Award, the ORSA Lanchester Prize, the ACM SIGCOMM Award, the NEC Computer and Communications Award, the Sigma Xi Monie A. Ferst Award, the CCNY Townsend Harris Medal, the CCNY Electrical Engineering Award, the UCLA Outstanding Faculty Member Award, the UCLA Distinguished Teaching Award, the UCLA Faculty Research Lecturer, the INFORMS President’s Award, the ICC Prize Paper Award, the IEEE Leonard G. Abraham Prize Paper Award, and the IEEE Harry M. Goode Award.